Only got a half day to spare? Don't worry there are plenty of ways to view the reef when you're short of time. 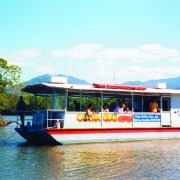 Green Island is the easiest option and most accessible, located just a 45 minute ferry ride from Cairns. With frequent departures throughout the day, you can plan your trip to fit around your travel itinerary. 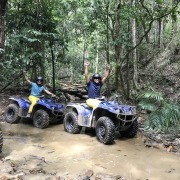 Combo options are a popular choice for those who have just a day to spare, whereby you can combine a half day visit to Green Island with many other popular half day trip options such as the Kuranda Train & Skyrail, Hot Air Ballooning, Rafting or Horseriding. Bus transfers are included which add to the convenience of these packages, and make for a smooth enjoyable day. 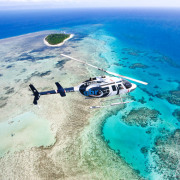 Heli flights allow you to be whisked away and arrive at the reef in no time. 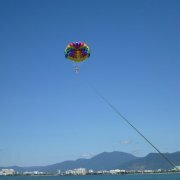 The views are spectacular, and it really puts into perspective the magnificance of the Great Barrier Reef. 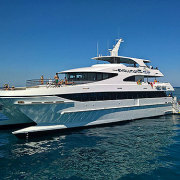 Combined with a snorkel you will get to experience the best of the reef from above and below. 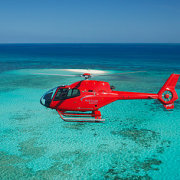 Options are available to heli in and heli out or cruise and heli, depending on your time constraints and budget. 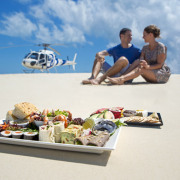 For a luxurious reef experience why not take a heli flight to a deserted sandy cay and enjoy brunch on your own exclusive sandy island, what better way to start your day in paradise! 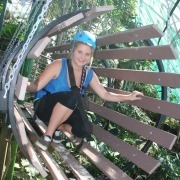 The Kuranda Train & Skyrail makes for a flexible trip option to the rainforest. Kuranda is easily accessible, located just 25 kilometres from Cairns on the Atherton Tablelands. Known as the 'Village in the Rainforest', Kuranda is surrounded by tropical rainforest and located adjacent to the Wet Tropics World Heritage listed Barron Gorge National Park. The Kuranda Train departs from Freshwater Station twice daily at 8:45am and 9:45am, and departs from Kuranda Station at 2:00pm and 3:30pm. The Skyrail Cableway operates from 9:00am until 5:15pm with gondolas leaving the stations continously throughout the day. Travel time for both the train and Skyrail is 1.5hrs (one-way). 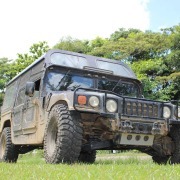 These regular departures provide the flexibility to select the best timings to suit your day and to allocate how much time you would like to spend in Kuranda. Frequent bus transfers are available from your accommodation, connecting you with the Kuranda Train and Skyrail. Bookings are essential. 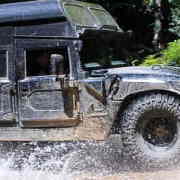 The Far North pays host to a multitude of adventure activities, many of which can easily be taken in half a day. 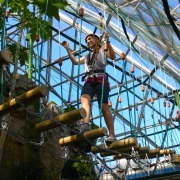 Even better combine two of your selected activities into a full day combo adventure. 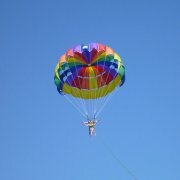 For early risers hot air ballooning is a must. Gently float over the Atherton Tablelands plateaux at sunrise. 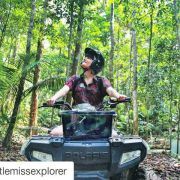 Spot the awakening wildlife, a roo or two, and take in the spectacular panoramic views of the rainforest mountains, fertile soils, dry bushland and outback. Another early riser tour is sea kayaking from Palm Cove to Double Island. There are few better ways to explore the coastline and islands of tropical North Queensland than in a sea kayak. If you're after something a bit more adrenalin fuelled to start your day then a Skydive will certainly be a heartstarter. Skydive Cairns will expose you to views of the Great Barrier Reef and Wet Tropics with exclusive drop zones located south of Cairns and at Palm Cove Beach, for those who prefer a soft sand landing. Combine this with a bungy jump at AJ Hackett Bungy and you'll be guaranteed an adrenalin high for a week! 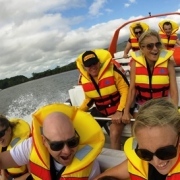 Other half day watersports include Barron Rafting, River Tubing, Fishing, Sea Kayaking, Parasailing, Jetskiing and Bumper Tube Rides. 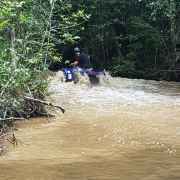 Blazing Saddles offers both horseriding and ATV Adventures, located just 10 minutes from Cairns, and scenic heli flights offer an exhilarating introduction to the Great Barrier Reef. 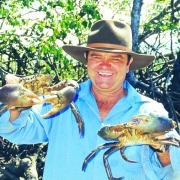 There are many opportunities to view native Australian Wildlife up close in Cairns. For many people a cuddle with a Koala is high priority on their to do list, and with only a handful of places in the world where you can actually do this, Cairns is lucky enough to have three main attractions nearby. The Kuranda Koala Gardens is a small intimate wildlife park that not only features Koalas but also wombats, snakes, crocodiles, lizards, wallabies and a kangaroo or two. 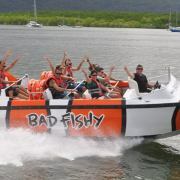 Being a small park it is easy to add this attraction into your Kuranda day. 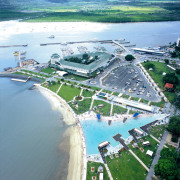 Other wildlife attractions in Kuranda include Birdworld and the Australian Butterfly Sanctuary. 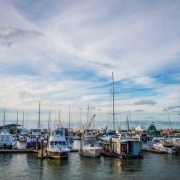 They are all located adjacent to each other in the Kuranda Village, and you can combine these attractions plus the Kuranda Koala Gardens into a three park pass. Rainforestation is located just outside of Kuranda Village and combines a bit of wildlife with a bit of rainforest and a bit of culture, so if you're short on time this attraction has all the main points of interest under the one roof. The Cairns Tropical Zoo is located just 20 minutes north of Cairns at Palm Cove and features a host of friendly, fun and informative wildlife shows and presentations. Opportunities for wildlife photos and cuddling a koala are scheduled in at various times throughout the day. 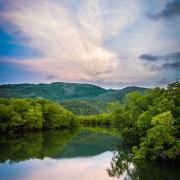 For a quick injection of culture head on over to the Tjapukai Aboriginal Cultural Park, located next door to the Skyrail Terminal at Caravonica, just 10 minutes from Cairns. Tjapukai is Australia’s largest Indigenous cultural park built on traditional Tjapukai land in a beautiful rainforest setting. Founded more than 25 years ago, the park is well set up, enabling guests to immerse themselves in traditional Tjapukai culture. In a half day you can learn to play the didgeridoo, discover the medicinal values of bush tucker, throw a spear and enjoy professional theatre incorporating traditional Aboriginal dance, fire making and storytelling. Shows are scheduled in throughout the day, so no matter what time you arrive, you will have ample time to take part in the full Tjapukai experience. 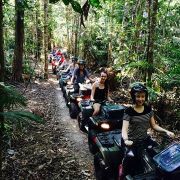 Rainforestation Nature Park also offers a slice of Aboriginal culture, located just a short drive from Kuranda Village. Rainforestations' local indigenous Pamagirri Guides welcome you to join them on a journey to discover the Dreamtime. The Pamagirri Aboriginal Experience takes approximately 1 hour, including the Pamagirri Aboriginal Dance Show held in the Rainforest Amphitheatre, and the Dreamtime Walk conducted either before or after the show. Try your hand at boomerang throwing , spear-throwing and learn how a didgeridoo is made and used in ceremonies. Indigenous Australians are born entertainers - music and dance are an integral part of this culture used to pass on customs and traditions. You can take away an understanding of their customs and traditions too.